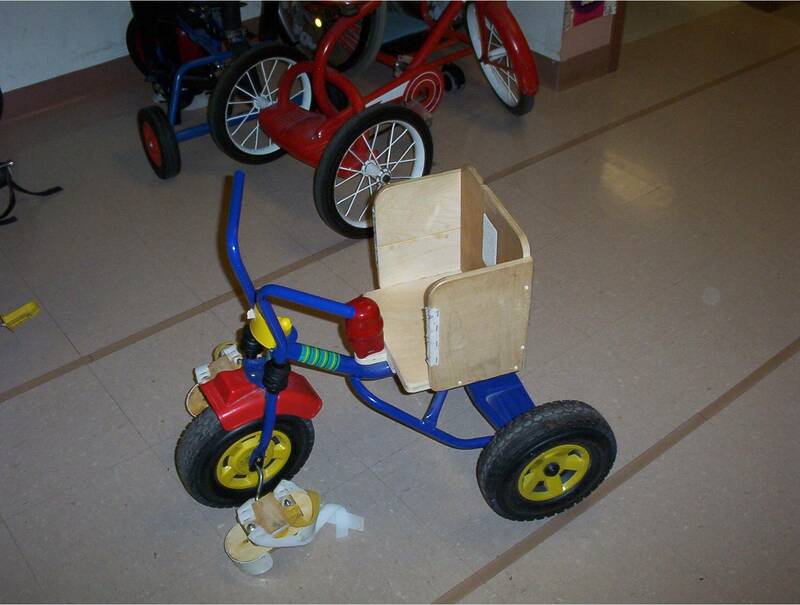 In 1990, what began as a simple workroom at the Twelve Corners Elementary School in Brighton, became a bonafide Adaptive Workshop, thanks to generous contributions from Rochester Midland Corporation, J.C. Penney Company, and many kind individual donors. 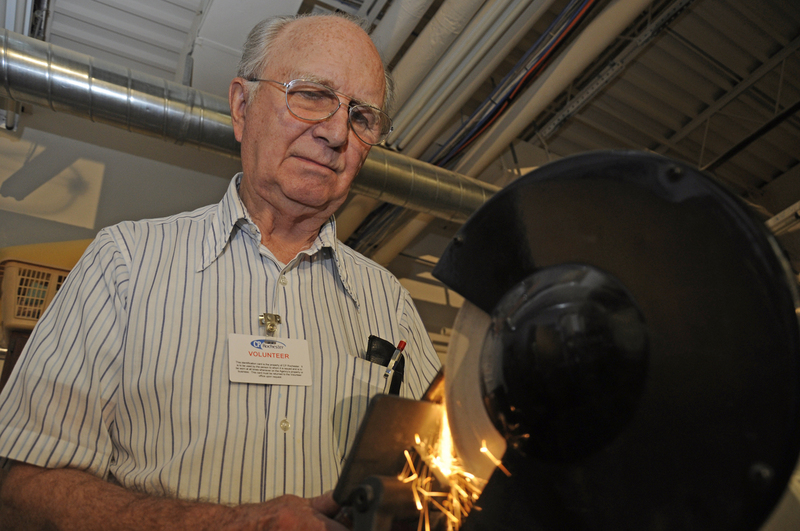 The workshop was named the Herbert J. Chamberlain Adaptive Workshop, after a well-known retiree of Rochester Midland Company with a 20 year history of working with adaptive and rehabilitative equipment. CP Rochester volunteer, Bob Horn, was at the helm of the workshop when it moved into the new campus. Bob began volunteering at CP Rochester's Augustin Children’s Center and discovered his days filled with repairing and modifying anything from toys to therapeutic equipment. He realized that not only was this a job he loved, but it also allowed him to use his skills. Bob remained a dedicated volunteer, recruiting support, overseeing shop growth and production until he passed away in 2002. Currently there are seven volunteers: 'Foreman' Tony Nardone, Jeannie Nutting, Frank Rogers, Henry Boessl, Marty Chatt, Ed Demay, David Schafer, and John Zoltner. The team distributes their hours so there is someone in the shop every day of the week. Not all have woodworking skills, but they all have the ability to create, customize or adapt furniture, toys, wheelchairs, household items, and much more. From the brochure stands greeting you in the reception area, to the inviting murals in the therapy pool and gymnasium, each finished workshop piece is reflective of creativity and care. Throughout the years, thousands of work orders requesting anything from standers, kneelers, benches and seats for little bikes with Velcro straps on the pedals, to adaptive devices on kitchen appliances are custom-crafted by our workshop volunteers. Almost every room at CP Rochester has something the Adaptive Workshop has created, whether it is a custom bookshelf, coffee stand, computer desk or the picture frames that adorn our hallways. Individuals recieving services at CP Rochester are also granted special requests. One call for help came from an individual who is an avid guitarist; he found it difficult to put his guitars back in their case after he played, so one of the workshop volunteers found an ingenious solution. He built stands for the guitars so they didn’t have to be returned to their cases for safekeeping all the time. Another individual who loves airplanes came into the shop one day and requested a replica of the airplane from the movie 'Flight of the Phoenix.' After searching on the internet and in stores with no luck, they finally settled on a model built from wood by our own miracle-workers. We are grateful our workshop volunteers love what they do, because we do not know what we would do without them!